I think they've both proved they're PL starting quality strikers. To answer this question I have to keep in mind who the manager is, and with Rafa it's going to be Rondon over Mitro. Aleksandar Mitrovic admits he and Rafa Benitez never suited one another tactically, leading him to force a move away from Newcastle United. On top of that, although at this point we've scored more goals than Fulham (31 to 30) that's mostly due to their awful dip in form since February (just 5 goals since, compared to our 10). Their attacking approach overall is much more liberal than ours (their league-worst defense is what's getting them relegated) and it's a bit concerning that Mitro has only scored in one game so far in 2019. Rondon on the other hand (as lassassinblanc already noted), has a better goals/start ratio this season and leads the team not just in goals but also assists. 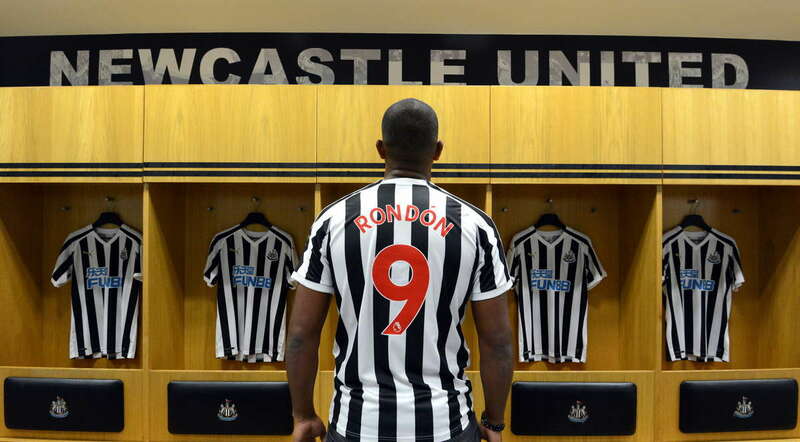 If you project flipping them, would Rondon still have the same stats/impact if he had been with Fulham this season? I think so. Would Mitro still have the same stats/impact if he had been with us this season? I'm not so sure. I think about this RE: Rondon at WBA too. He suffered through Pulis and the aftermath for 3 seasons there. This season in the Championship they've had a much more attacking approach (they're the 2nd-highest scoring team behind Norwich, who are at this point all but promoted). Would Rondon have been able to get the 18 goals and 2 assists Gayle has gotten there so far? I absolutely believe so. I think it's really hard to compare us and Fulham and project who would do better were the roles reversed. Yes, for the first half of the season they were more attacking, but there were also far more options in their side seeking to score, wherein we've relied heavily on Rondon being the target man and only real goal threat. I'm not saying that as evidence for Mitro, but rather that I don't think it's fair to assume the situation was easier for him - or better positioned for him to score more. Rondon is a better free kick taker.